A redesigned start menu and Cortana are just two reason why you should opt for Windows 10 as your next operating system. Microsoft designed Windows 10 to deliver a more personal computing experience across a range of devices. An experience optimised for each device type, but familiar to all. Windows 10 will power an incredibly broad range of devices – everything from PCs, tablets, phones, Xbox One, Microsoft HoloLens and Surface Hub. It will also power the world around us, core to devices making up the Internet of Things, everything from elevators to ATMs to heart rate monitors to wearables. No matter which Windows 10 device you use, the experience will feel comfortable, and there will be a single, universal Windows Store where they can find, try and buy Universal Windows apps. As in the past, Microsoft have offered different Windows editions that are tailored for various device families and uses. These different editions address specific needs of our various customers, from consumers to small businesses to the largest enterprises. Home is the consumer-focused desktop edition. It offers a familiar and personal experience for PCs, tablets and 2-in-1s. Windows 10 Home will help people do great things, both big and small. With it, they will be more productive and have more fun thanks to a long list of new innovations: Cortana, the world's most personal digital assistant; the new Microsoft Edge web browser; Continuum tablet mode for touch-capable devices; Windows Hello face-recognition, iris and fingerprint login; and right out of the box, a broad range of universal Windows apps like Photos, Maps, Mail, Calendar, Music and Video*. Microsoft are also bringing the Xbox gaming experience to Windows 10, giving games and gamers access to the Xbox Live gaming community, enabling the capture and share of gameplay and giving Xbox One owners the ability to play their Xbox One games from any Windows 10 PC in their home. Pro is a desktop edition for PCs, tablets and 2-in-1s. Building upon both the familiar and innovative features of Windows 10 Home, it has many extra features to meet the diverse needs of small businesses. Windows 10 Pro helps to effectively and efficiently manage their devices and apps, protect their sensitive business data, support remote and mobile productivity scenarios and take advantage of cloud technologies. Windows 10 Pro devices are a great choice for organisations supporting Choose Your Own Device (CYOD) programs and prosumer customers. Windows 10 Pro also lets customers take advantage of the new Windows Update for Business, which will reduce management costs, provide controls over update deployment, offer quicker access to security updates and provide access to the latest innovation from Microsoft on an ongoing basis. Further information can be found on Microsoft's website. * Windows Hello requires a specialised, illuminated infrared camera for facial recognition or iris detection or a finger print reader which supports the Windows Biometric Framework. Apps and services may vary by market. 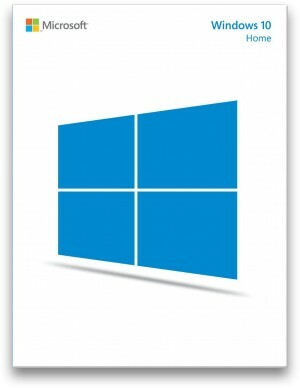 Windows Media Center is no longer available with Windows 10, therefore if you want to use Microsoft's solutions you'll have to opt for Windows 7 or 8.1 Pro. Here is some further information. All versions of Windows 7 include Windows Media Center which is a great way to watch and record terrestrial and/or satellite TV (in conjunction with a TV tuner card), as well as watching films, viewing photos and listening to music. Windows 8.1 does not include Media Center. It can be added to Windows 8.1 Pro only for a nominal charge by requesting a product key on the Microsoft website. Adding Media Center to Windows 8.1 Pro also gives you the ability to play DVD films. We recommend Windows 8.1 Pro for Media Center use rather than Windows 7 because it has more features, faster performance and will be better future-proofed. Please note: The Media Center key mentioned earlier is only compatible with Pro version of Windows 8.1. There are other programs available that offer similar features to Microsoft's Windows Media Center. The most popular are MediaPortal and Kodi (formally known as XBMC). Both programs offer the facility to do exactly (and much more) what Windows Media Center does, although some configuration is required via plugins (add-ons) supplied by both MediaPortal and Kodi. Both pieces of software are open source which means they are free for personal use and they can be used with any Windows operating system, even Windows 10.